The whole thing started from the German colonial period because Cameroun was annexed by the Germans, not by France or Britain. After the First World War, France and Britain joined forces and fought against the Germans and they were defeated. And all German colonies in Africa were seized, including Cameroun. Subsequently Cameroun was partitioned into two: British Cameroun and French Cameroun. The British part of Cameroun was administered under the trusteeship as the British saw it as too small for them to administer as a separate country. So it was administered under Nigeria which was already a British colony. After the defeat of the Germans and the partitioning that followed, Britain took that part of Cameroun which is close to Nigeria, while the French took the part which is close to Chad, a French colony, for ease of administration. That is why till today the French people in Cameroun see the English-speaking people as Biafra because the southern Cameroun which are agitating for their freedom today were administered through Enugu because there were British northern and southern Cameroun which make British Cameroun. If you check the map of Nigeria before independence you will see that part of Cameroun that voted to join Nigerian later, the part of Borno, Adamawa and Taraba states and part of Benue and Cross River states; and that is why today you have Boki Cameroun and Boki Nigeria; Tiv in Cameroun and Tiv in Nigeria. Those were some small parts that voted to join Nigeria and that was in 1951. The British administered the Southern Cameroun agitating today for their freedom through Enugu. Meanwhile, the northern part was administered through Adamawa, specifically Yola, because there was also Adamawa Cameroun. Mubi and some other parts were Cameroun before they joined Nigerian in 1951. That done, the Second World War came and the Germans wanted to take back what belonged to them but that couldn’t happen. January 1, 1960 Cameroun had their independence, while Nigeria was not yet independent by then. But nine months later Nigeria had her independence. Now that part called southern Cameroun was still not independent. So on February 11, 1961 they started asking for their independence. On February 11 there was a plebiscite organised for them to choose their fate; and there were to be three options with one omitted: Do you want to be independent by joining the Federal Republic of Nigeria or by joining the Republic of Cameroun? It is believed according to history that due to what the southern Camerounians said in Enugu, they felt cheated by the Igbos, they felt they were not included in the affairs of the government in the Enugu parliament, so they felt that they were better off joining the people in Cameroun. Religious wise, it is easier to rule within the northern states. Meanwhile, the British were using indirect rule, using the chiefs and the emirs to rule in the northern part; that still stands till today as the emirs still exercise those powers unlike in the south. The northern part voted to join Nigeria. Recall the Confab in 2014. There was a northern leader from Adamawa State who threatened to lead his people back to Cameroun if their interest was undermined by the Nigerian state. In 1951 we joined Cameroun because the British removed the option of total independence. But that notwithstanding the Camerounians still felt that since we are to live as brothers there was a conference in Fulham where some leaders from southern Cameroun met with the French Camerounian leaders under the leadership of Ahmadu Ahijo who was their president and they formed what they called the Federal Republic of Cameroun, meaning that there were two Camerouns that came together; and on the flag at that time there were two stars on the green colour indicating the two Camerouns, that is the southern and the French Cameroun. Now the English Cameroun had their own parliament in Boya which was called the House of Chiefs and the French people had their own parliament in Yaoundé. The people were still not satisfied because they believed that we are supposed to have our own country. So many reasons were given by the UN and UK for not supporting us. Maybe they feel we’re not economically viable to stand on our own. So many other things were said at that time. But there were still people who were pushing for the total independence of southern Cameroun. On October 1, 1961, one year after Nigeria’s independence, on the eve of that independence, the French for the first time sent their Gendarmes to terrorise the English people. They came and replaced what we call the mobile wing just like we have the mobile police in Nigeria; they did what they call Karikari: that is, they can come to an area and encircle everywhere and ask people why they are doing what you are doing; the French people started imposing their culture gradually from that day. Till today people are fighting to make sure that that independence is celebrated and every October 1, people stand up to celebrate it. But each time they are brutalized, taken to jail, tortured; some have been killed, some have disappeared and till today we don’t know where they are. In 1972, the President, Ahmadu Ahijo, single-handedly changed the name of the country from the Federal Republic of Cameroun to the United Republic of Cameroun and he removed the two stars that were representing the two countries and put a single star in the middle. The flag that they were using was the green-red-yellow with a single star in the middle, meaning that they have brought back their flag into existence. In 1982 when Paul Biya took over power, he changed the name from United Republic of Cameroun through a presidential decree to the Republic of Cameroun. There are so many people that have been fighting for these things like the NCNC and others which in 2002 even filed a case at the Federal High Court in Nigeria and won. Some other people tried something similar but they failed and were instead arrested, tortured and imprisoned. In 1990 the English people came up with a party called Social Democratic Front, SDF, which was the main opposition party and which also had sympathy even from the French people. It was claimed that they won the election but that it was later rigged by the ruling party then. The party was formed so that they can take the country back to the foundation of federalism; a two-state federation which means 50-50 both for French and English-speaking Cameroun; but that didn’t work. And since then the French people have been trying to infiltrate and they have succeeded in changing the educational system in Cameroun to favour the French side such that for the English-speaking Cameroun to succeed they must be able to speak French. They teach people in school English while speaking French and the students have been complaining. The same thing happened in the legal/judicial sector where the common law which is practiced in Nigeria has been infiltrated by the civil law which is practiced in French Cameroun. When you go to court, proceedings are carried out in French. In the English- speaking part of Cameroun, if you go to the police station or any public office you have to speak French whether you are English or French Cameroun, and if you cannot speak French they look at you as inferior. Before we got to this level, the lawyers were the ones who started the strike; they said they want to ensure that the legal system work in Cameroun. But that led to torture, molestation and arrest, though they got sympathy from the general public. Teachers later joined the strike in October 2016 and they wanted their own educational system to be fixed; the students found sympathy too because they are at the receiving end. Unfortunately, this degenerated to massive arrests and killings. They also cut off the internet, which is why I find it difficult to communicate with somebody in English- speaking Cameroun. The UN, Commonwealth, human rights organisations, the AU, everybody is advising Paul Biya to go back to the root cause of this issue and dialogue with the interim government. We are ready for dialogue with the Republic of Cameroun but they have refused to dialogue and instead four weeks ago they started firing military cannons not far from Cross River State. What that means is that you have declared war on the people. And some of them who could not run away were forced to defend themselves. There are more than 40,000 registered refugees in Cross River State ,not to talk of Akwa Ibom and not to talk about those who have not fully registered and they are increasing on daily basis. Nigeria should play a positive role by accepting us in their territory by allowing these people to come in. Recently, the Governor of Cross River State, Prof Ben Ayade, blamed the UN for always failing to intervene on time in situations like this; he said they prefer to wait for things to get out of control and then bring food aid and shelter instead of addressing the main issue. The Federal Government of Nigeria has not officially issued any statement to show whether it is in support or against what is happening in Cameroun. But I believe it has been able to render assistance through the state governments at the border areas and the NGOs providing shelter, food and health facilities for some of these refugees who are in different states across Nigeria. They are scattered in different countries. Some of them are in the US, Germany, South Africa and Nigeria; some of them are asylum seekers who ran away from arrest because their colleagues who were arrested since January 2017 are still in prison till today. They came together and said that we cannot allow the blood of the innocent to be in vain. So they formed a coalition by bringing all the civil societies together; later they said no it is not just to form this coalition, we need a government in place. So they came together and they formed a government and it is made up of those people from different countries earlier mentioned. They took this action because of the oppressive government that they cannot withstand in Cameroun. It was after this they have decided to seek refuge in different countries, especially Nigeria which is closer. Nobody has a clue because the Cameroun government has kept quiet and the Nigerian government has also been keeping quiet. The people that arrested them were dressed in DSS uniform and they were taken to DSS headquarters but anybody can wear a police uniform and commit the act. It was only later that we learned they had been deported to Cameroun, which is quite unfortunate. But the struggle continues. 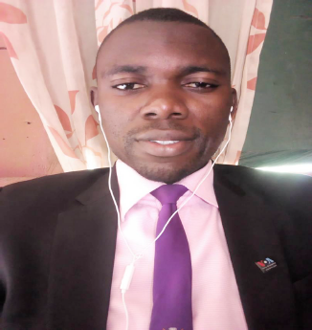 The post Why we declared Ambazonia Republic—Fossoh appeared first on Vanguard News.